My name is Jason Wakelin-Smith and I’ve been an inspector since 2006 when I joined from the NHS. I spend a significant amount of my time inspecting laboratories whether they are members of the Good Laboratory Practice monitoring programme or those analysing samples originating from clinical trials. Inspections of laboratories that analyse samples originating from clinical trials, also known as GCP Labs, have driven host organisations, sponsors and the laboratories themselves to look more closely at the laboratory’s systems and processes. This in turn leads to process improvements and questions. We are committed to try to help answer some of these questions and the MHRA’s ctdhelpline@mhra.gov.uk is one source of help and information when the answer cannot be found elsewhere. The Medicines for Human Use (Clinical Trials) Regulations, Schedule 1, Part 2, 8. The EMA “Reflection paper for laboratories that perform the analysis or evaluation of clinical trial samples” section 6.2. Staff have appropriate knowledge, experience and training for the role and responsibilities assigned to them. Staff should be aware of the roles and responsibilities assigned to them, both in relation to the organisational set-up and as they relate to the conduct of clinical trial sample handling and analysis. Training is appropriate and proportionate for the role and responsibilities held by that member of staff, covering both technical and GCP training, and is updated on a periodic basis particularly when changes to regulations or associated guidance occur. Training and experience are documented and justified where necessary. Training records should be periodically updated and reviewed by both the member of staff and management. If this is put into context for laboratory personnel then it is expected that all staff have an awareness that clinical trial sample analysis occurs within the laboratory, particularly if trial samples are handled alongside other sample types; but it is likely that an individual’s training requirements will vary depending on their various roles and areas of responsibility. For example, where an analyst is not involved in the conduct of clinical trial sample analysis, then it would be sufficient that they know that trial samples are received and analysed by the laboratory and that their actions, such as the use of shared equipment or compliance with procedures, have the potential to impact on these samples and that if they notice a problem then they should tell somebody who can assess the impact. If an analyst is responsible for the setup of studies, analysis of samples or the interpretation of the results then they should have a suitable level of technical, trial specific (where appropriate) and GCP knowledge to support the activities to be undertaken. Laboratory staff do not need to know the process by which informed consent is given by the patients to the clinical team but do need to know that they can only perform the tests described in the protocol and informed consent form. The Inspectorate has seen numerous examples of laboratory-based GCP training, and those considered to be most effective include a mixture of tailored regulatory requirements applicable to the role of the laboratory in delivering clinical trial sample analysis, alongside how the organisation meets these regulatory requirements. It is also important to ensure that the training content is periodically refreshed to ensure it reflects the types of analysis conducted and associated ways of working. Often laboratories will use relevant audit and inspection findings and changes to the supporting processes and quality systems as a way of doing this. 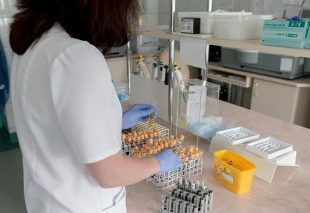 It is worth mentioning that the term ‘Good Clinical Laboratory Practice’ (GCLP) and associated guidance is often used by laboratories and training providers to refer to GCP requirements, but care should be taken that any training content reflects the UK regulations and associated regulatory guidance. Laboratories who claim compliance with other standards will need to assess any differences and ensure that additional training is undertaken so that staff are provided with the necessary knowledge associated with the conduct of clinical trials. EMA Guideline on Bioanalytical Method Validation, although produced primarily to describe the key elements associated with validation of methods supporting marketing authorisation applications, the document contains useful guidance relating to method validation, run acceptance criteria etc. The MHRA GXP Data Integrity Guidance and Definitions document provides information relating to the implementation and maintenance of appropriate data integrity controls and processes. The guidance has particular relevance to the control of electronic systems generating data which are commonly found in the laboratory. It may also be necessary for staff involved in trial activities to be aware of other regulatory requirements outside those of GCP. For example, healthcare professionals retaining tissue samples should be aware of relevant legislation such as the Human Tissue Act, The Blood Safety and Quality Regulations, etc. Participation in commercially available accreditation schemes may contribute to the knowledge and training requirements in relation to analysis of clinical trial samples but is not mandatory and an assessment of any training content should be undertaken to ensure adequate coverage of GCP requirements. It should be noted that the frequency of GCP training is not defined within the regulations and that the organisation should determine when updates to the training are required, whilst bearing in mind changes to regulations or guidance. I’d like to finish by mentioning the need to document competency to perform a technique, assay or activity. It’s common that training records do not support the decision that a member of staff has undertaken sufficient training and practice and has been deemed competent to undertake the task or activity without supervision. When this is discussed on inspection, many organisations assess competency but do not have a process for documenting this transition from trainee to competent operator. In summary, training is an essential activity to ensure that all members of laboratory staff are aware of the requirements of the applicable legislation, guidance, analytical techniques and trial protocol relevant to their role. It is important that the level of training can be justified, whilst ensuring that the training given is appropriate and proportionate based on the individual’s role in the analysis of clinical trial samples, and that this is clearly documented. Ultimately the rights and safety of trial participants are paramount, as is the integrity of the data being generated, and without appropriate knowledge and training it is easy to jeopardise the outcome of the trial. One way to ensure you receive up to date information and training is to attend the MHRA Laboratories Symposium on 13 March 2019 in London. Details can be found here. Dose Escalation - is it GCP compliant? A good article with complete details. Very practical and at the same time stressed the need of compliance systems. Thank you for the article. It provides a lot of information. I wonder to what extent these expectations refer to a clinical site at which the tests might be done but in a routine way and the CT population is not separated from the other patients. Saying it in another way - there is no special setup of the lab since the tests are routine safety (transaminases, biochemistry, etc.). I am curious about the author opinion. Good article and interesting topic. Conduct of clinical trial sample analysis within a clinical site (e.g. analysing routine safety bloods or biochemistry) is subject to the same requirements as those conducted in a research environment. The paragraph in the blog above which starts 'If this is put into context...' explains the expectations and how these can be handled within the clinical laboratory. In summary we would expect staff to be aware that trials were conducted in the laboratory; that any required GCP related training provided to be proportionate and focused on the trial work to be undertaken within the laboratory and that there was someone within the laboratory with additional GCP knowledge and oversight of the trials coming through the laboratory who could implement the necessary processes for clinical trial sample analysis. 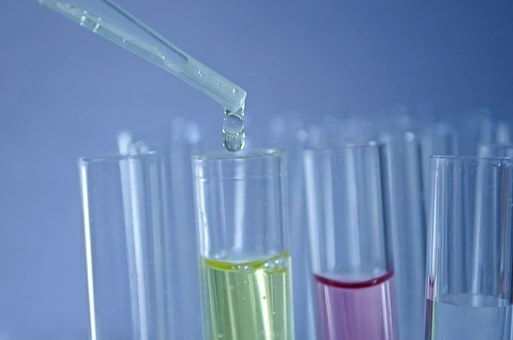 There is certainly no requirement for all staff to be experts in clinical trial sample analysis but the type and level of awareness and training will depend on the work being conducted and will have to be reviewed periodically to make sure that it matches the requirements of the trials coming through the laboratory. It is certainly possible that the majority of staff within a routine clinical laboratory could have very little knowledge of GCP and the analysis of clinical trial samples other than what is described in their well written quality system and their compliance with its requirements. Thank you. It clarifies a lot. It is interesting topic. I do appreciate your prompt and clear answer.